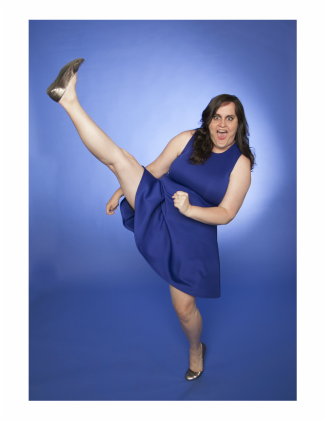 Amy Sumpter is a comedic Actress who has performed all over Chicago. Hailing from the northwest suburbs of Chicago, she took Improv classes at the world famous Second City. There she met fellow funny lady Kelsie Huff and they started a two woman sketch show called Children of the Absurd. They traveled out of state for perfomances and were in Chicago's SketchFest. While discoveriing her love of comedy, she did plays with The Mill Theatre Company. She also did a commercial, music video (with Letter Blue Productions) and a short film directed by Marc Singletary, Lolli-Pops, which was in the Reeling Film Festival in 2013. For the last 10 years she has focused mainly on Stand-Up and storytelling. Shs is a regular performer with The Kates and has done numerous showcases all over Chicago as well as out of state. In 2015 she was part of the top 100 to make it on Last Comic Standing Season 9. You can find her on YouTube and RooftopComedy.com. Recently, Amy Started a podcast with Kelsie Huff, Shaped. Find us at www.shapedpodcast.com, iTunes, and SoundCloud.